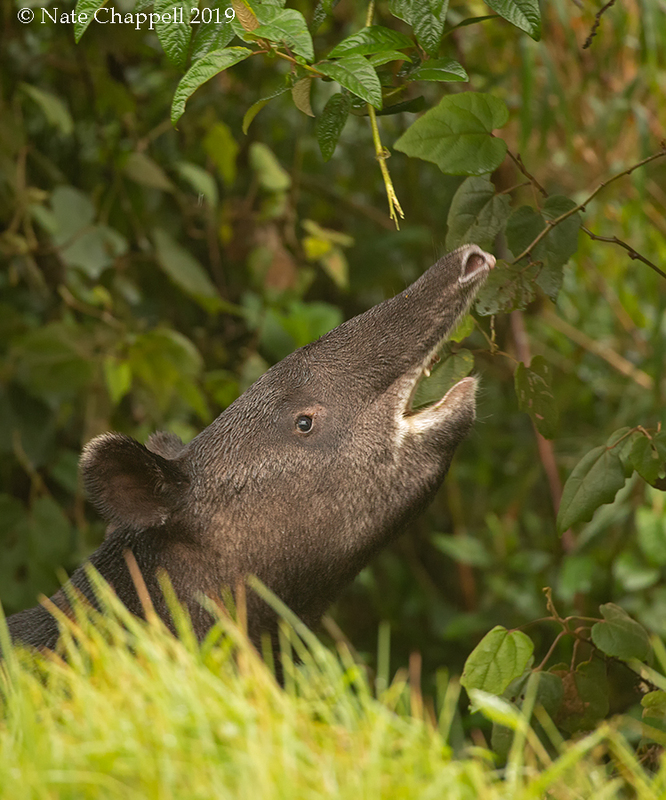 Here's another shot of the Moutain Tapir feeding photographed near Guango Lodge in Ecuador. Another nice image of this species, Nate. The open mouth is a plus. A nice view of that herbivorous browsing profile, Nate, and the distinctive white edged lips of this small tapir. A nice bonus is the remains of that twig above the snout which shows how delicately they can strip the juicy leaves while foraging. How great to have seen these in the wild! Very cool! Would consider burning down the foreground so that it doesn't take so much attention away from the very cool subject.